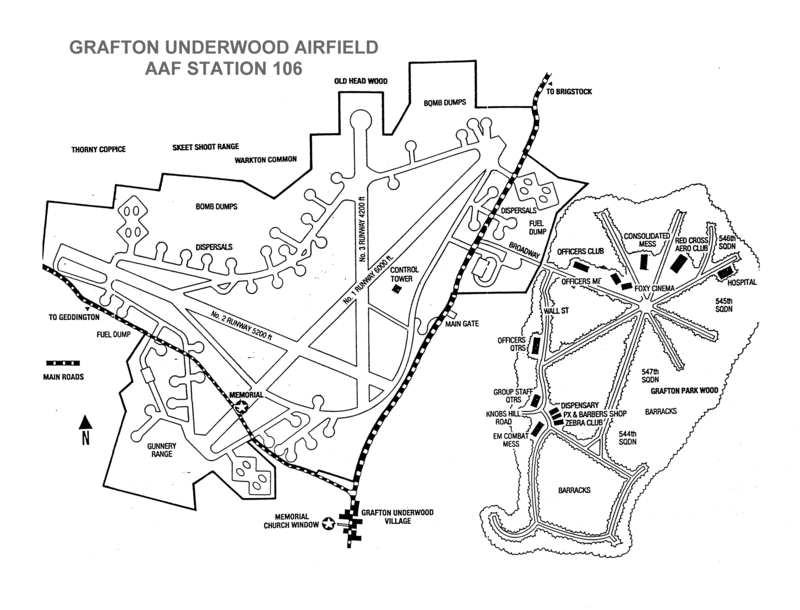 Eugene Spearman’s story “Our New Home at Grafton Underwood” (see my April 27, 2016 post) prompted me to start looking at how the Grafton Underwood Airfield was laid out. 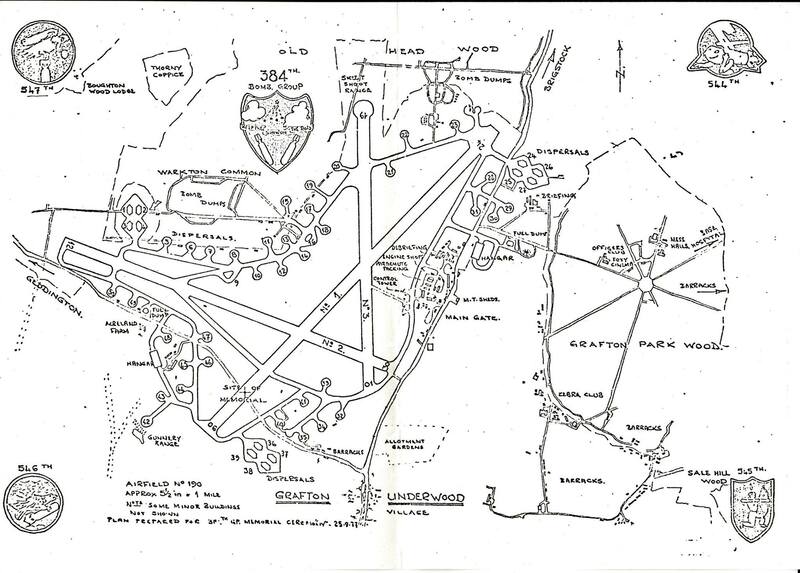 I found a few site plan documents which I’ll include now. 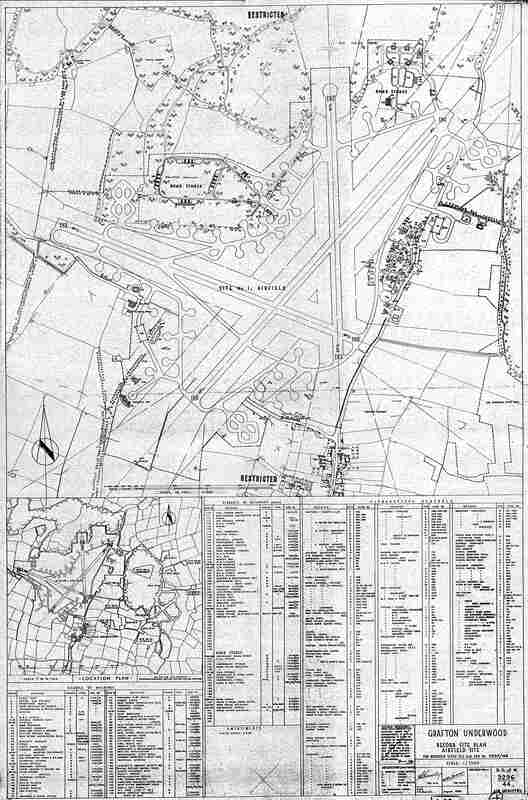 In future posts planned for June of this year, I will try to identify or define what some of the locations on the plan are and include whatever pictures I can that would be helpful to envision the airfield during WWII. Hardstand identifications provided by Mark Meehl. N.B. 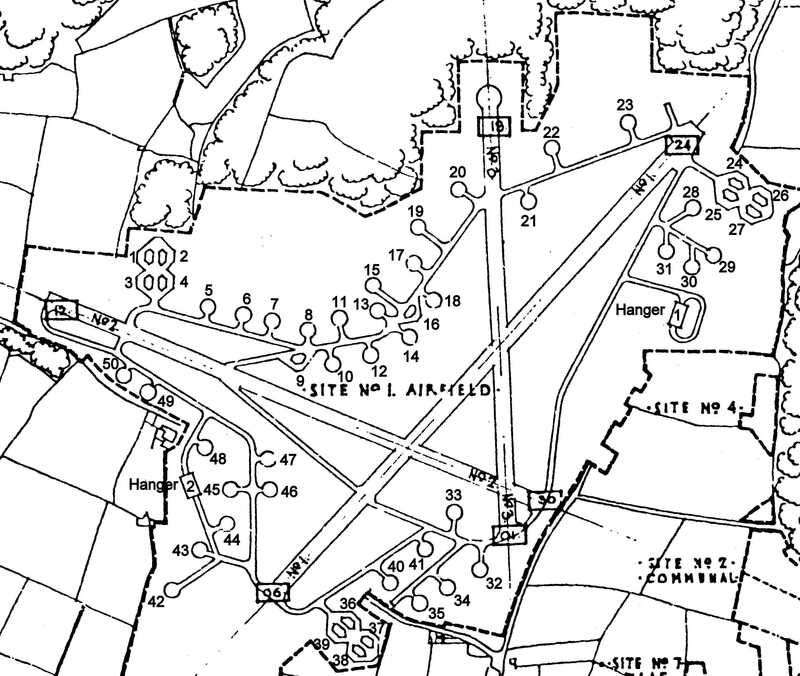 : The boxed numbers indicate the runway identifiers (magnetic compass heading to nearest 10 degrees). Photos used by permission of the 384th Bomb Group. By thearrowheadclub in 384th Bomb Group on May 11, 2016 .